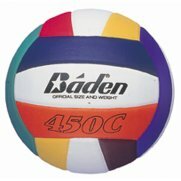 Volleyball is seen as both a recreational sport as well as highly competitive also, and is also recognized as an Olympic Sport. A game takes place in general with a rectangular court with a net seperating the court into two equal sections. At competitive levels it is played between two sets of 6 players however recreational games can have any number of players. 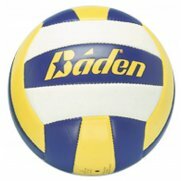 The general rules of the game is to strike the ball over the net into your opponents court. The most common way of striking the ball is with your hands or arms but players can actually legally play the ball with any part of the body. The team receiving the ball into their half of the court has three contacts to pass the ball back over the net into their opponents court. 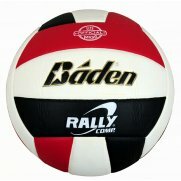 Points are scored if your opponent is unable to return the ball over the net or the ball lands outside of the playing area. 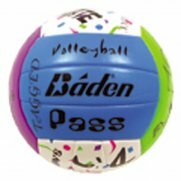 Baden produces an extensive range of Volleyballs suitable for all ages and standards. 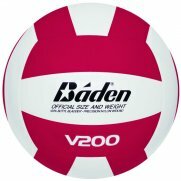 It includes high quality game balls with soft composite covers to rubber balls ideal for Schools or Recreational activities. 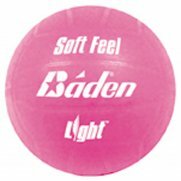 The most popular by far of the range is the VF4 Soft touch ball.